In Massachusetts, there was one worker killed in 2012 as a result of exposure to harmful substances or a harmful environment on-the-job. As the Bureau of Labor Statistics reports, this death occurred in a year when there were a total of just 33 workplace fatalities, down from 68 in 2011. Exposure to chemicals on-the-job can also cause cancer, birth defects or other serious and sometimes fatal damage. The Occupational Safety and Health Administration (OSHA) is supposed to protect workers and ensure that they are not exposed to dangerous chemicals in their workplaces. OSHA should do this by identifying hazardous chemicals that are likely to be found on job sites and by setting rules for permissible exposure. Unfortunately, the agency vested with the job of protecting workers is falling far short of fulfilling its duties when it comes to chemical exposure. 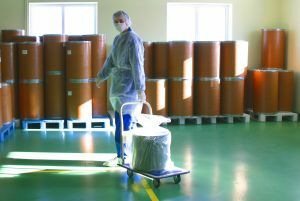 Workers injured or who become ill as a result of exposure to chemicals should consult with a workplace accident attorney for help making a claim for workers’ compensation benefits. The Occupational Safety and Health Administration has a list of just 300 chemicals that it has set permissible exposure limits for, out of thousands of chemicals that exist in workplaces. This list was created by the agency in 1971. Although OSHA tried to update it in 1989 in order to add more chemicals and to change exposure limits on existing chemicals, this update is not in effect. An appeals court in 1992 struck down OSHA’s changes, indicating that no feasibility studies had been done and the necessity of the chances hadn’t been proved. Because the list has not been effectively updated since 1971, OSHA and pretty much everyone else agrees that it is completely outdated. It is based on science dating back from the 1950s and 1960s and it both regulates too few chemicals and has unsafe exposure limits for some of the substances it does regulate. Bloomberg BNA indicates that OSHA hasn’t done more because it would be impractical for the agency to conduct feasibility tests on every chemical that it wants to regulate. The reality, though, is that the agency has had more than 20 years since the appeals court decision issued its ruling striking down the agency’s updates. In that time, OSHA narrowed down a list of 20 chemicals it was most interested in regulating and conducted feasibility studies on four of the chemicals- yet it did not end up moving forward with rules setting permissible limits. It is unclear why OSHA didn’t move forward, or why it hasn’t attempted feasibility studies on other chemicals over the course of this 20+ years. OSHA is now reportedly “trying” to act by asking the White House to approve a request for the agency to gather information on new ways it can work to limit chemical exposure. Even this request, to simply consider ways to act, has to go through the White House Office of Management and Budget. The bureaucracy is clearly not working effectively here, when the agency has done nothing in 20+ years except finally ask for permission to think about ways it can act to stop workers from being potentially sickened or even killed by harmful chemicals. Travelers Insurance Identifies Common Injuries, March 3, 2014.